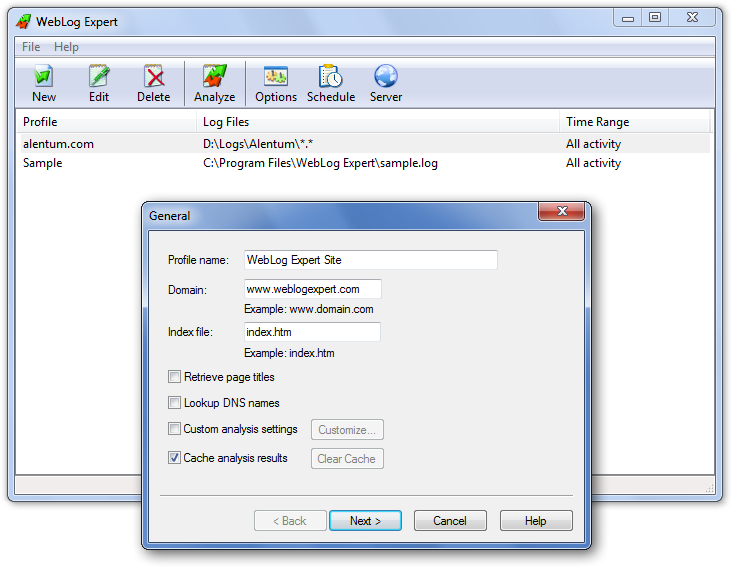 The log analyzer can create reports in HTML, PDF and CSV formats. 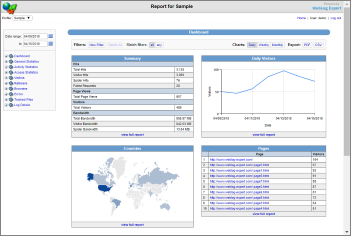 It also includes a web server that supports dynamic HTML reports. 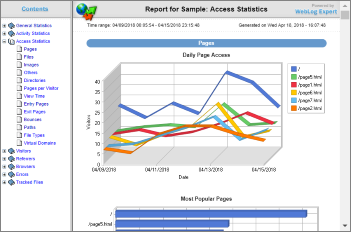 WebLog Expert can analyze logs of Apache, IIS and Nginx web servers. It can even read GZ and ZIP compressed log files so you won't need to unpack them manually. The program features intuitive interface. Built-in wizards will help you quickly and easily create a profile for your site and analyze it. You can view the complete list of features here. 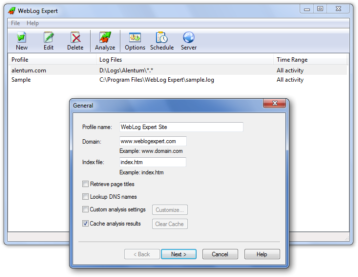 You can also download free fully functional 30-day trial version of WebLog Expert Std/Pro/Ent.